Are ugly grease spots and oil marks spotting your concrete and making the floor look worn out? No one likes a dirty concrete floor. These spots tend to endure through the years, wearing down the floor and destroying the look of your garage. Personally, I prefer doing away with concrete in my house since it is the hardest substance to keep clean. 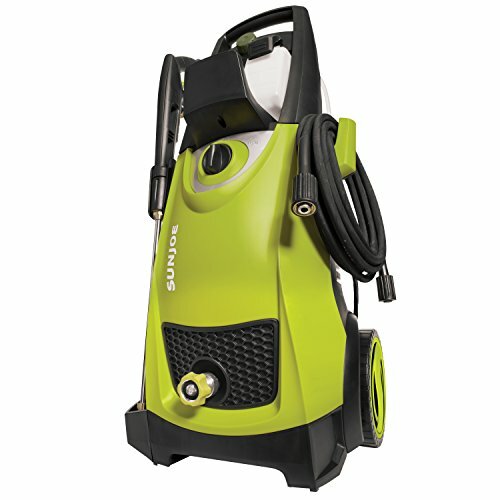 But, if you have concrete flooring then a pressure washer is all you need to get it cleaned. By now you must have figured out my secret for home improvement. 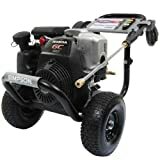 Truth is that a pressure washer with the right set of accessories and solutions can clean just about any kind of surface. 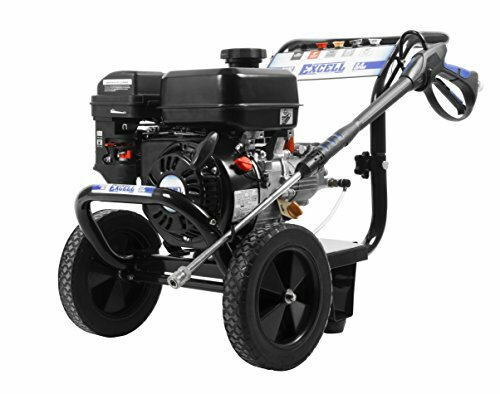 The reason why a pressure washer works great with any kind of material is that water under high pressure can dislodge the hardest stains. Dirt, grime, grease and oil, nothing can stand in the way of water at 2000 plus PSI pressure. First, start by segmenting your project section by section – this will help you quickly clean the floor without having to revisit any spot more than once. Moreover, it removes the need to re-wash areas that are dense with heavy staining. The initial step is to apply copious amount of detergent on the concrete giving it at least 10 minutes to soak in. Then apply a generous amount of water all over the surface and keep the surface wet for another 15 minutes. Remember that if you let detergent dry out on concrete, it leaves an awful stain. So the whole idea is to keep concrete wet until you have washed away the detergent. Once the detergent has worked long enough on the concrete, it is time to bring out the pressure washer. Simply use a high pressure spray tip and rinse away section by section. Certain sections may be heavily stained or soiled. For these areas, you will have to make more than one pass. Certain areas will be so heavily stained that multiple passes with a high pressure tip is not going to clean it. You need a turbo nozzle for such areas. A turbo nozzle significantly increases the water pressure and decreases cleaning time by 40 percent. However, try not to take multiple passes with a turbo nozzle since it can damage soft concrete. Also keep the nozzle in motion and never concentrate the blast on a particular spot. If you are short of time then a turbo nozzle can help out but it still is not fast enough. A surface cleaner used in the place of a normal spray tip can significantly decrease the time it takes to clean concrete. The combination of a surface cleaner with a turbo nozzle helps in degreasing the surface, removing the most adamant stains and leaving a clean white concrete floor. Surface cleaners work by using two spinning jets of water that increase the cleaning efficiency. Ultimately, you get clean concrete in half the time.